Join the African American Cultural Center at NC State’s annual Kwanzaa Celebration on December 6, 2018 from 6:00-9:00 p.m. in Witherspoon Cinema. Kwanzaa celebrates contributions of the African diaspora, family and the community through the seven principles of the Nguzo Saba. This year, we will feature performances from our artists-in-residence, National Pan-Hellenic Council organizations, DanceVisions, Uninhibited Praise Gospel Choir, the Caged Bird Society and more. Stay for the karamu, or feast, following the performances, in the Washington-Sankofa Room. Kwanzaa is a week-long holiday, from December 26 through January 1, celebrated by many people of the African diaspora. It is a time to reflect on your actions over the previous year in regard to supporting the diaspora and to renew your commitments for the following year. Its history is rooted in the Black Liberation struggles of the twentieth century – a time when many Black Americans fought for political, economic, social and cultural freedom. First celebrated in 1966, Kwanzaa, was born out of the movements’ focus on creating and maintaining Black culture through art, literature and cultural celebration. 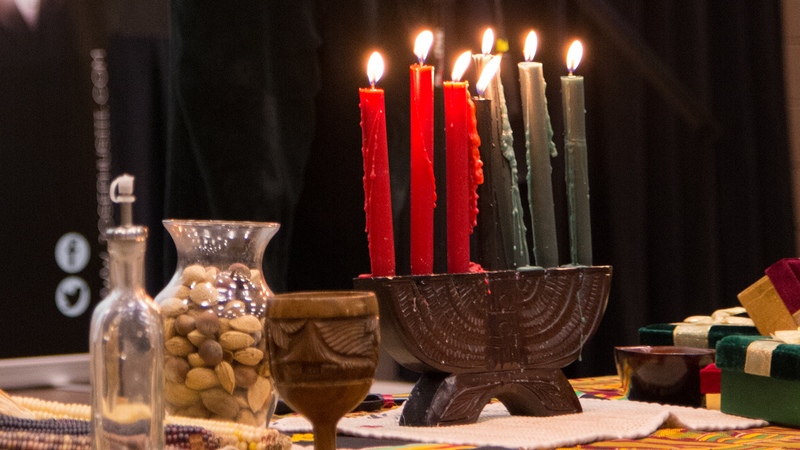 Many adherents continue to celebrate Kwanzaa alongside their religious holidays. Follow Jordan Bullock, our programming and communications assistant, from December 25 to January 1 as he observes Kwanzaa with fellow students, faculty and staff. Like us at facebook.com/ncsuaacc to join him in his first time exploring this holiday. John Miller IV is the program coordinator of the African American Cultural Center.